Rendering of the Heller Drive site, which would provide housing for upper division undergraduates and graduate students. Earlier today, campus planners issued a revised draft Environmental Impact Report (EIR) for the proposed Student Housing West, the student-housing project we’ve been working on to provide more desperately needed affordable-housing options for our students. Please take the time to study the revised report, to review the project, and to weigh in by providing your feedback and comments. Student Housing West is crucial to the future of our university. It will give us more than 3,000 new on-campus beds, which we believe will pull upper-division students now in the local housing market back to campus, helping them while also easing pressure on the greater local housing market. The project will expand much-needed child care, offering to faculty and staff what is now only available to students. It will also allow us to ease overcrowding in existing dorms, and to restore some of the lounge space we have converted to sleeping space in recent years to meet serious need. I recognize Student Housing West faces opposition for a variety reasons. 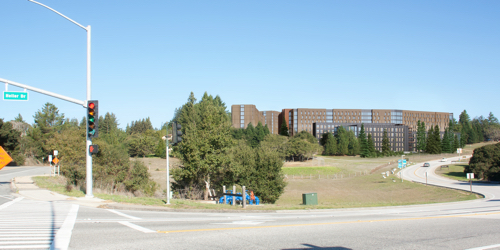 The majority of the project is slated for the current site of Family Student Housing, on Heller Drive. The proposal calls for buildings taller and larger than those that are there now. Also, a small portion of the project is proposed for the base of the East Meadow, and some believe that area of campus should remain untouched. But I strongly believe the proposed project is the right project, at the right time. California is in the grips of an unprecedented housing crisis. In our own community, there is a general lack of housing, and what is available is prohibitively expensive. Student Housing West is a bold attempt to help our current students, too many of whom are struggling to get by in this overheated housing market. Earlier this summer, because of concerns from our community, I extended the public comment period on the project’s first draft EIR. The extended comment period allowed project supporters and opponents more time and opportunities to weigh in and to offer project alternatives the initial draft EIR did not cover. I can say with good conscience that we thoroughly examined every alternative put forth. I believe the end result is an economically prudent project that will maintain housing affordability for all students, mitigate environmental impacts to the extent they can be lessened, and minimize the displacement of students with families while construction is underway. We live and work in stunning natural surroundings, and building anywhere on our iconic campus is a tightrope walk. Faculty, staff, alumni, students, and campus supporters, past and present, have very strong feelings about what should be built on campus and where. I respect those opinions. We must remember, though, that we are also a university of people. We have a growing, increasingly diverse student body. While we remain committed to respecting our unique landscape, we must also help our students confront the very real, immediate challenges they face, particularly in regard to housing. Student Housing West is our attempt at doing that, and I believe it is a worthy project deserving of support.